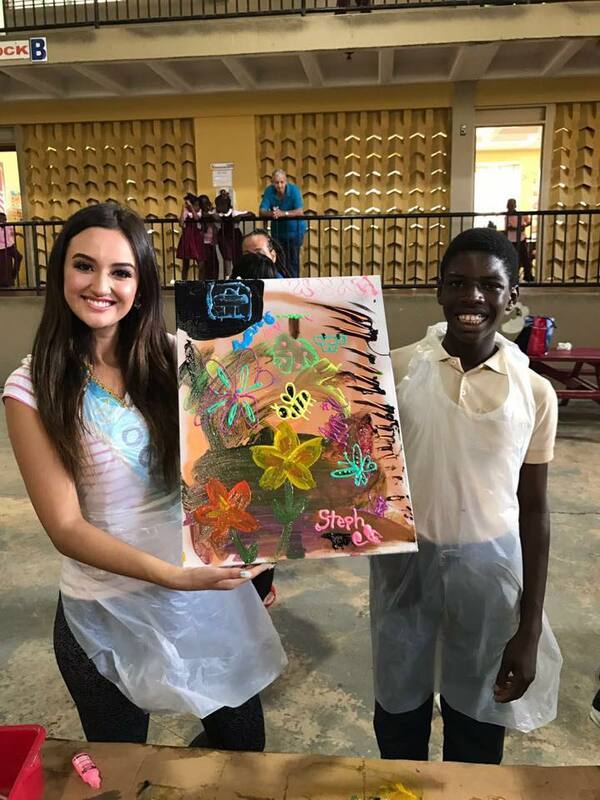 Miss World's Beauty With A Purpose Humanitarian Trip to the British Virgin Islands has just concluded as the team head to their respective countries before resuming their world tour in April. The team lead by the reigning queen, Manushi Chhillar, and CEO, Julia Morley, arrived in the British Virgin Islands on Sunday for their first ever visit to the Eastern Caribbean. They were hosted by Miss World's Territorial Director in the British Virgin Islands, Damion Grange, and the reigning Miss World BVI, Helina Hewlett. Apart from attending meeting the Governor and Premier of the British Virgin Islands and attending a gala fundraising dinner and fashion show, the team also met the kids of the Eslyn Henley Richiez Learning Centre and got their hands dirty on the site where the school once stood before it was destroyed by the two hurricanes. FUNDRAISING GALA: The Miss World Organisation donated $12,000 as a contribution towards the only learning centre for differently abled children in the BVI. During this fundraising event, Miss World and her team modeled creations by local designers. 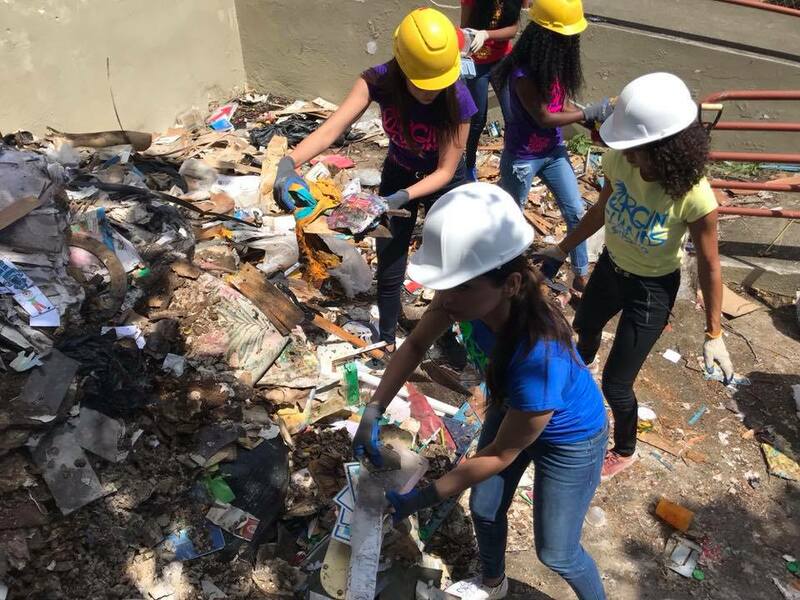 LENDING A HELPING HAND: The girls went to the site where the school once stood and helped with the clearing process, which will take place over the next few weeks, before a new school can be built. MEETING THE YOUNG PEOPLE: The team met with the children of the Eslyn Henley Richiez Learning Centre. The girls spent a morning with the children and painted with them. The painting will be auctioned to raise additional funds to reach the target amount ($1.4 million) to rebuild the school.